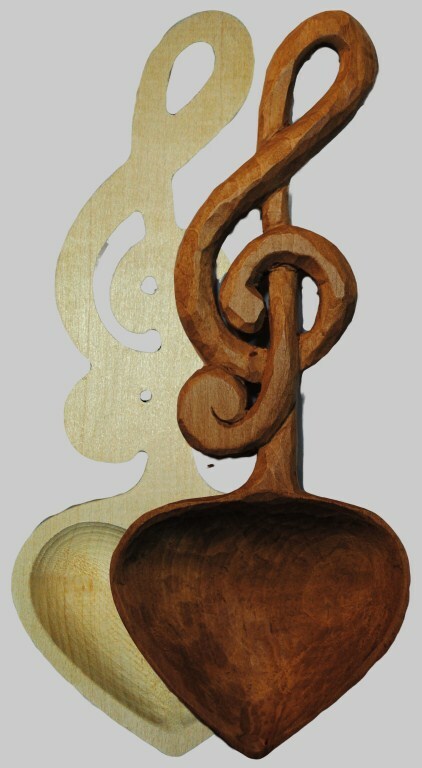 Music Spoon Basswood 8.25 inch. 3/8 inch thick handle. Finished piece carved by Betsy Elswit of Ithaca NY.